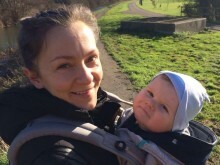 "I'm a Swiss born Russian girl studying Food Policy MSc at City University, and working towards sustainable ways of living and eating. I moved to London in September last year and the next day went for a trial class at Carlson Gracie, needless to say I never left. 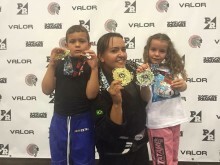 I started training Brazilian Jiu 'Jitsu because I've always wanted to take up a martial art but didn't know where to start until my partner introduced me to it. 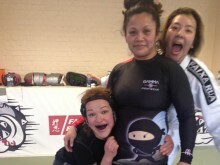 I love BJJ because it makes me humble and strong!" 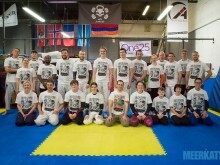 The UKBJJA's launch coincides with the release of UKBJJA short film Jiu Jitsu Woman - http://bit.ly/1RILFEf. “Unstoppable Girl” involves national women only training events, social media, an education and fundraising campaign to get girls and women involved in the sport. 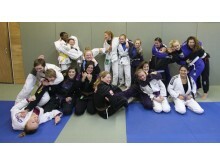 A number of “Unstoppable Girl” Ambassadors; based throughout the UK. 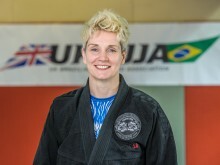 Each event will offer the opportunity for individuals to talk to existing practitioners about the benefits of BJJ, how it has helped them, and what it’s like to train and be part of the BJJ family. 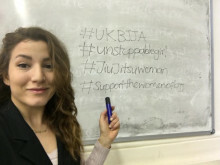 You can follow the campaign and check out what’s happening at www.ukbjja.org, follow us on Facebook and Twitter @ukbjja #unstoppablegirl. Drilling techniques in the dojo.